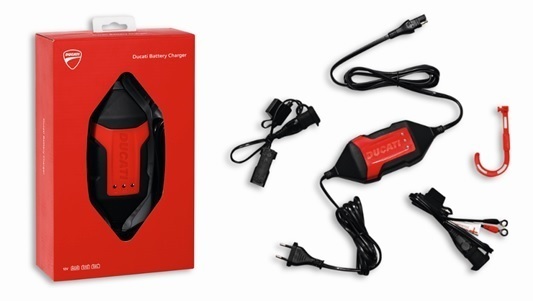 This new exclusive design by Ducati turns this new battery charger into an Italian-style premium product. Keep your Ducati in optimal condition by only using Genuine Ducati Spare Parts. Developed in partnership with the Ducati R&D team, specifically to increase the useful life of lead-acid batteries. New Ducati models, connection will connect faster and more convenient as the battery charger can be connected directly to the DDA (Ducati Data Acquisition) socket!